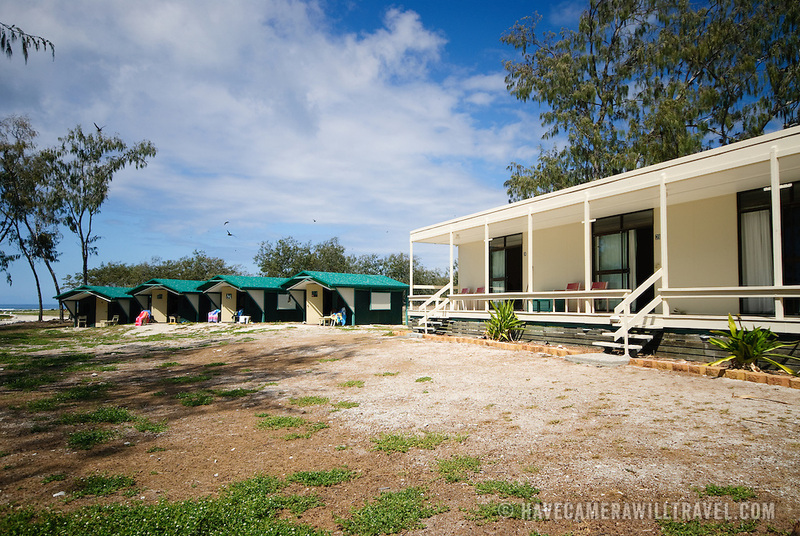 The accommodations at Lady Elliot island are basic. At left are tents. At right are bunk rooms.